The Taylor Family: Boy oh BOY! 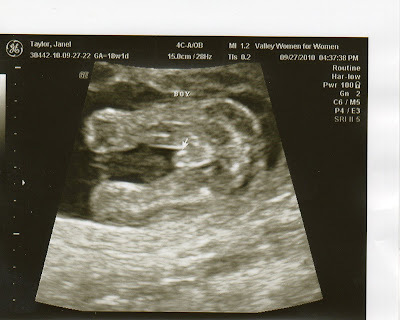 Just in case you haven't heard--we are having a BOY! YEAH YEAH YEAH!! I am so excited...of course I would have been excited if you were having a girl too, but how fun!! Congrats you two!! You must be so excited to have one of each! Congrats, now you get to go shopping for boy clothing.